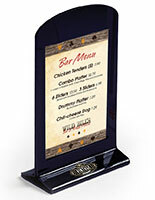 Distributing company information, plan rates, and other takeaway literature is best done in a professional manner. 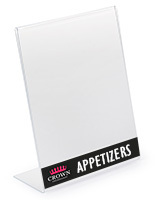 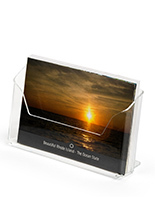 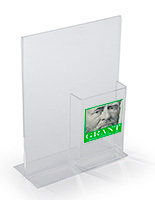 Let this 4" brochure holder custom printed acrylic pocket help organize the process! 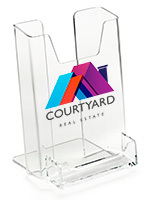 Our branded container is designed to be placed on tables or service counters for keeping said materials within easy reach of salespeople or potential customers. 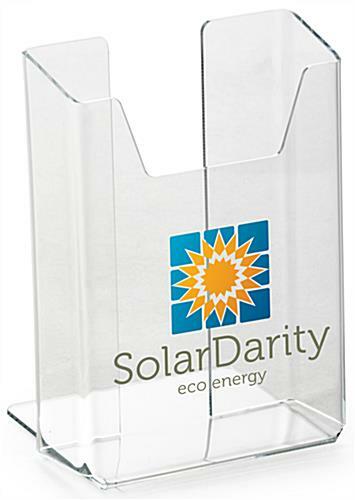 Send us your logo or artwork and our UV printer will apply the graphic permanantly to the front of the pocket. 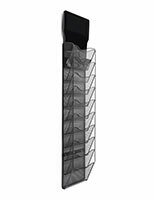 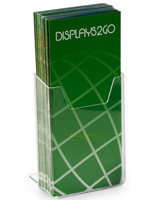 Custom printing this brochure holder will extend your brand's reach most effectively. 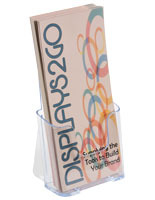 Use to organize and display standard tri-fold pamphlets inside your place of business, at the next trade show, or other marketing endeavor! 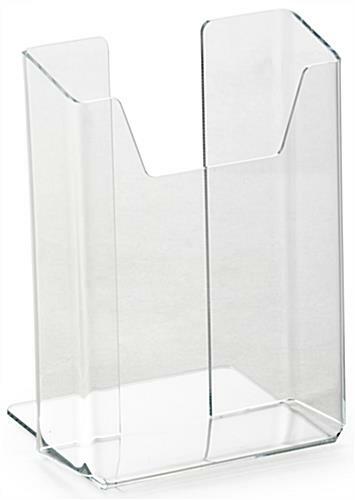 4.4" x 6.1" x 3.1"
4.3" x 3.9" x 1.5"
We are unable to accept orders for less than 250 units.